The skyline of cities like New York, Hong Kong, and Dubai displays some of the greatest feats of engineering. Seeing so many skyscrapers in a single city also can be a fantastic experience for you! Here the list of 10 cities with most skyscrapers. 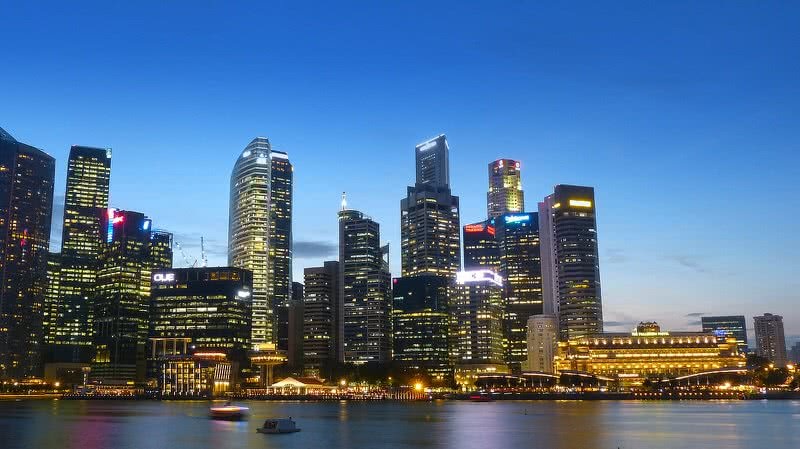 Singapore city has 81 skyscrapers that rise more than 150 meters. Most of the skyscrapers located in the downtown core of the city. 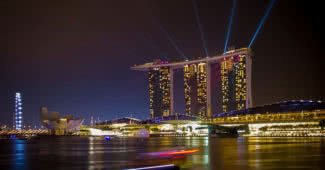 The majority of skyscrapers in Singapore city functions as office space. Mandarin orchard tower 2 built back in 1973 is the first 150m+ building in Singapore city. At present, the 67 storied 280 meters high UOB plaza one (headquarters of United Overseas Bank) is the tallest building in the city. Shenzhen is a modern metropolis and second largest port city in China. This city is an exclusive economic zone of China and known for its striking architecture. 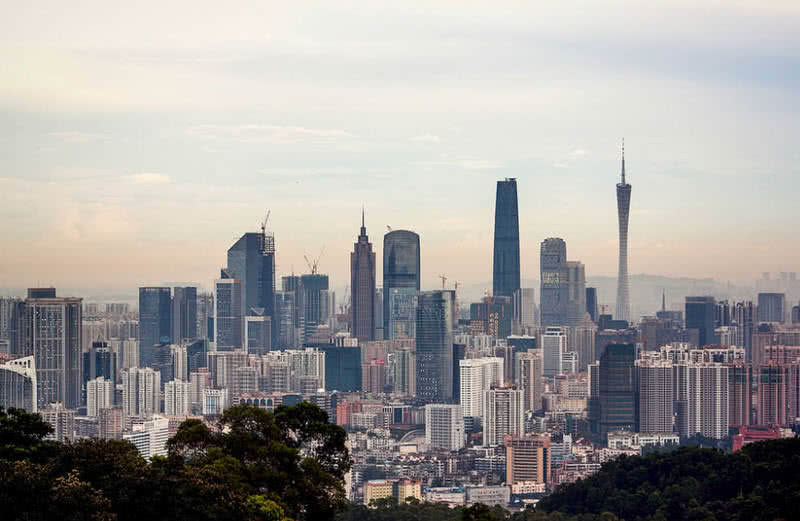 The skyline of Shenzhen is impressive with 83 skyscrapers that rise 150+ meters in height. More than 40 150+ m skyscrapers are also under construction in Shenzhen city, believed to be completed by 2019. Currently, the KK100 located in Luohu district is the highest skyscraper in Shenzhen City. The 100 storied mixed-use building rises 441 meters in height. 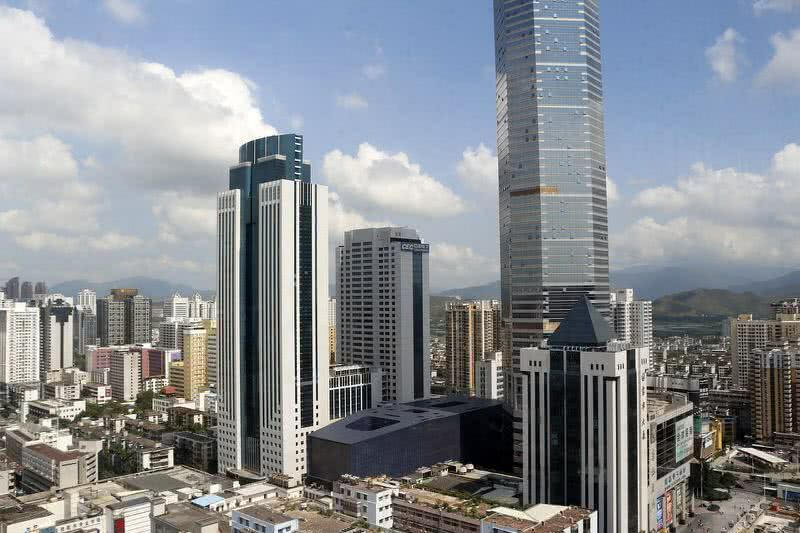 The first 150+ meter building in the city is the Shenzhen Development Center. The 165 meters high structure was built back in 1987. Guangzhou is the third largest city in China. It is also one of the most important sci-tech, educational and economic centers in China. Today this vibrant metropolis has 93 amazing skyscrapers that exceed 150 meters in height. 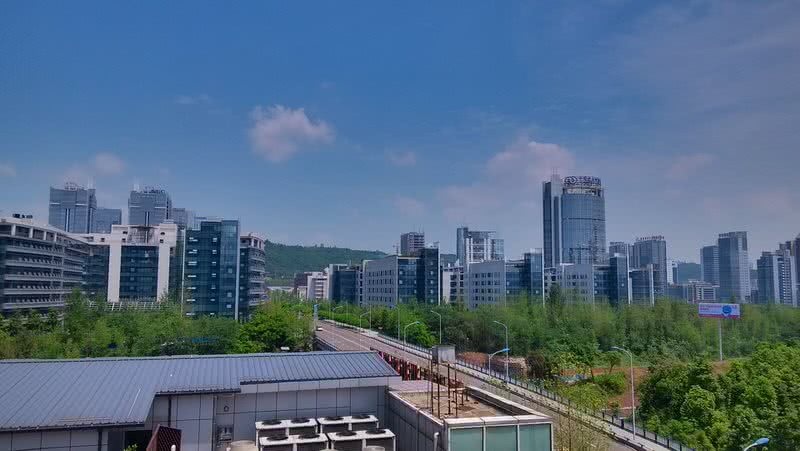 The Guangzhou international finance center, CITIC Plaza, The pinnacle, Pearl River tower, Lea Top Plaza and Canton towers in the Guangzhou city are also rising more than 300 meters in height. The majority of skyscrapers in Guangzhou city are also used as office space and residential space. The 103 storied 439 meters high Guangzhou international finance center is the tallest building in Guangzhou city. This skyscraper is also known as the west tower. Chongqing is a modern port city in Southwest China. The town is known for its natural beauty and cultural heritage. It is also one of the major industrial centers in China. With 94 150+ meters high skyscrapers the Chongqing is ranked among cities with most skyscrapers. The 12 out of 94 skyscrapers in Chongqing city rises more than 200 meters in height. At present, the 339 meters high Chongqing World Financial Center is the tallest skyscraper in Chongqing City. About 35 skyscrapers also under construction in Chongqing city. Among them the Chongqing International Trade and Commercial Center I became the highest skyscraper in the city by 2017. It is a 100 storied 468 meters high super skyscraper, construction started in 2012 and expected to be completed in 2021. With a population of 13.30 million Tokyo is the largest metropolitan city in the world. 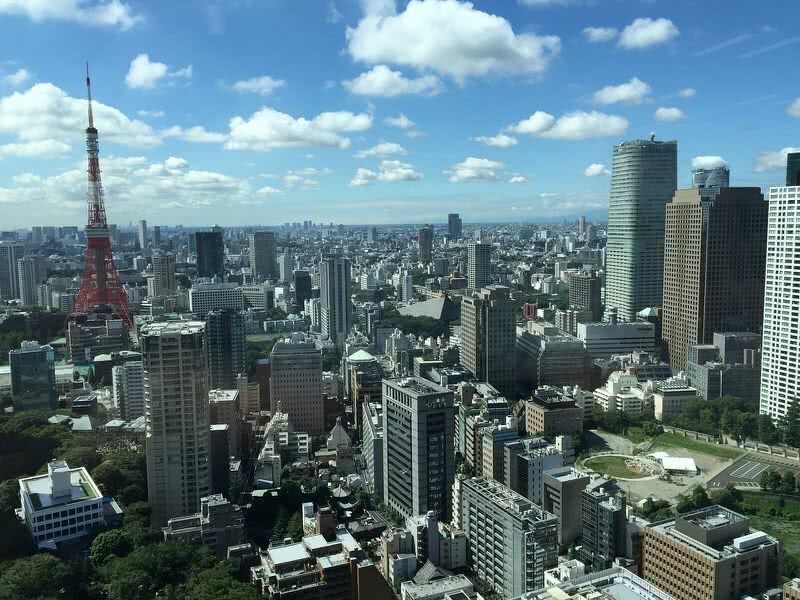 Apart from its size Tokyo city also is also an economically powerful city in the world. Today, in the modern Tokyo city you can see about 2390 high rise buildings and 114 amazing skyscrapers. But until 1963 the height of buildings in Tokyo was limited to just 31 meters. It was because earthquakes are very frequent in Tokyo city. The rapid rise of Tokyo skyline in recent decades is also a result of modern engineering techniques. The 36 storied Kasumigaseki is the first 150+ meters high skyscraper in Tokyo city. It was built back in 1968. Now the title is held by Toranomon hills, a hotel/residential complex located in Minato ward of Tokyo. It is a 52 storied skyscraper that rises to 256 meters in height. 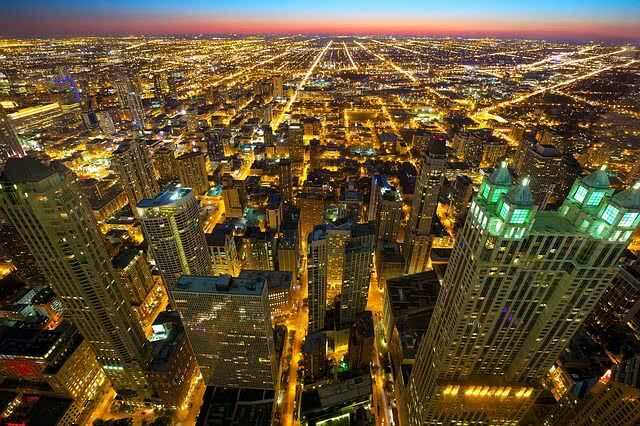 Chicago is the third largest city in the U.S with a population of 2.7 million. Chicago city is also known for its great architectural tradition. It is the second largest skyline in the United States. This city also boasts 1273 high rise buildings and 117 breathtaking skyscrapers. Chicago city regarded as the birthplace of skyscrapers. The 138 feet high home insurance building constructed back in 1884 is the first skyscraper in the world. The building was demolished in 1931. Today, the 442 meters high Willis towers built back in 1974 is the tallest building in Chicago. 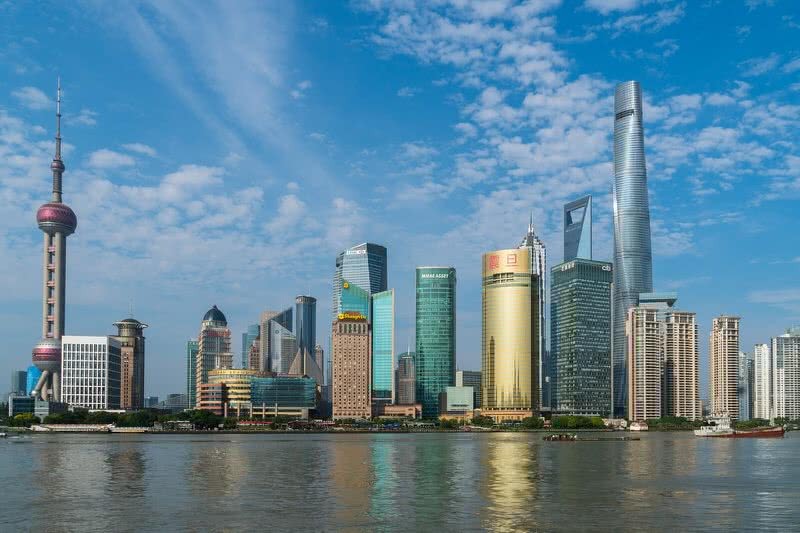 Shanghai is the most important financial, commercial and industrial center of China. It is one of the fastest growing cities on the planet. Today there are 957 high rise buildings and also 126 skyscrapers in Shanghai city. The construction boom in the city has arisen since the 1920s. In the mid of 2015, the Shanghai city will open the tallest skyscraper in China. The new megatall building is also known as Shanghai tower, a 125 storied 632 meters high skyscraper located in the Pudong district of Shanghai. The construction started in 2008 and opened in February 2015. Thus Shanghai tower has also become the second tallest building in the world. Dubai is the fastest growing Arab city in the world. It is a global hub for tourism and trade. 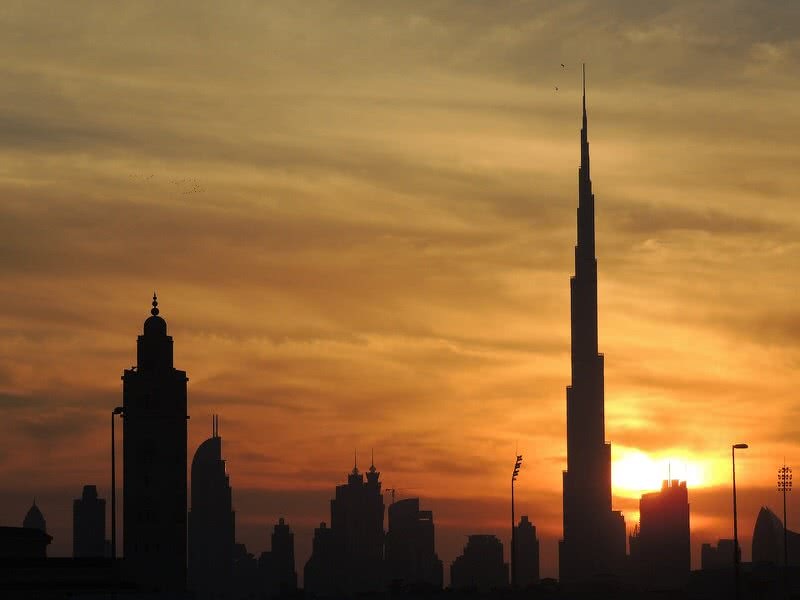 Dubai also boasts the highest skyline in the Middle East. The city is home to world’s highest skyscraper, 211 storied 830 meters high Burj Khalifa. Today, there are 148 jaw-dropping skyscrapers and 917 high-rise buildings in Dubai. The unprecedented construction boom in Dubai city has occurred since 2005. The rapid rise of the Dubai skyline under a decade is just incredible. Dubai world trade center, a 149 meter high, 39 storied building constructed back in 1978 is the first high rise building of Dubai city. Today, 18 out of 148 skyscrapers in the city are also rising to 300+ meters in height. Unsurprisingly the Dubai skyline continues to grow. At present 21 skyscrapers are also under construction in Dubai. The minimum height of these buildings expected to be at 180 meters. New York City is the most economically powerful city in the United States. It is the business capital of America. NYC also boasts the most impressive skyline in the U.S. It is home to more than 6000 high-rise buildings and 237 amazing skyscrapers. One World Trade Center, the tallest building in the United States, also located in NYC. It is a 104 storied 416 meters high skyscraper that built to replace the original word trade center destroyed in 9/11 terror attack. Almost all skyscrapers of NYC are located in Manhattan Island, most populated borough of NYC. Manhattan can be called as the business capital of the world because over a million jobs can be found there. Apart from this reason Manhattan is also an Islands and most populated part of NYC. So the buildings in the areas have to expand upwards. 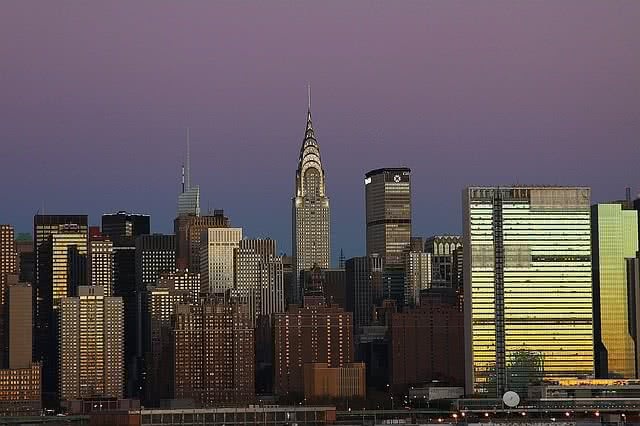 As a result, Manhattan boasts one of the jaw-dropping skylines in the world. Hong Kong is a major business and financial center in the People’s Republic of China. It is also the city with the most number of skyscrapers in the world. Today, Hong Kong city boasts 7687 high-rise buildings and 303 incredible skyscrapers. Majority of skyscrapers in Hong Kong is also used predominantly as residential buildings. Jardine house, a 179 meters high office tower is the first 150+ m high skyscraper in Hong Kong city. Now, the 118 storied, 484 meters high Hong Kong International Commerce Center is the tallest skyscraper in the city. It is also the 8th tallest building in the world. The Hong Kong skyline is one of the most impressive skylines in the world. The view of the Hong Kong skyline with surrounding Victoria harbor is just incredible. 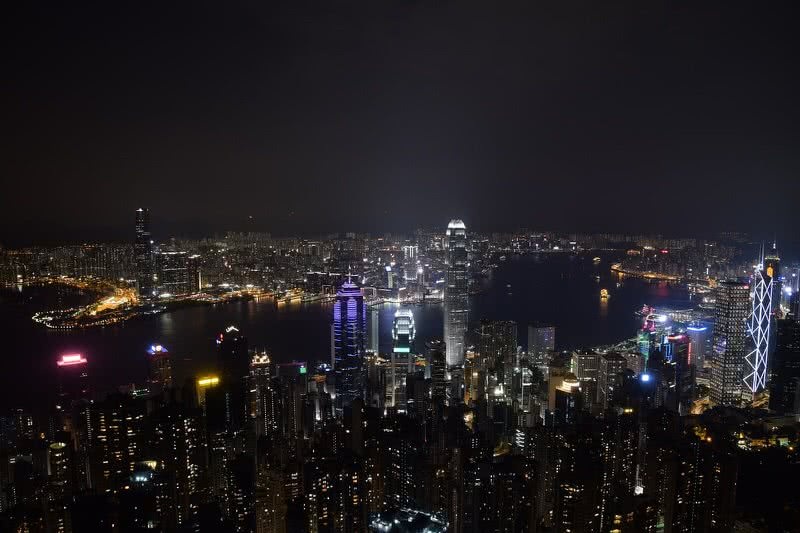 At 8 pm in every evening, the skyscrapers in Hong Kong involve in a dazzling light show. The pyrotechnic fireworks, laser show, and also music combine to make the Hong Kong skyline stunning like no other. The Guinness book of world records named this light show at the Hong Kong skyline as the largest permanent light and sound festival in the world.